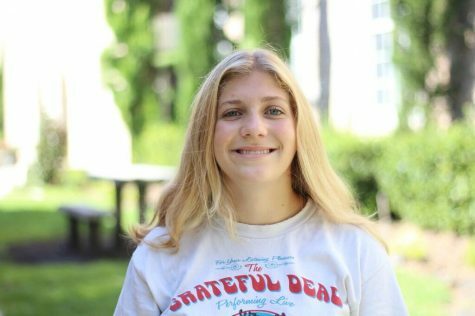 Katie Valenti, a natural blonde, is serving off her senior year as a writer for Pep O’ Plant. In a year she will hopefully be away from southern territories and making it big in New York City. Valenti intends to be a dog walker, intern and avid audience member at the Upright Citizens Brigade while attending school in the city. Katie can be found starting a mosh pit at local music venues or, on the weekends, catching up on SNL and out-of-date TV shows with her dog Juno. If one wants to find her, she can only be summoned by playing 70s disco or the Seinfeld theme song.